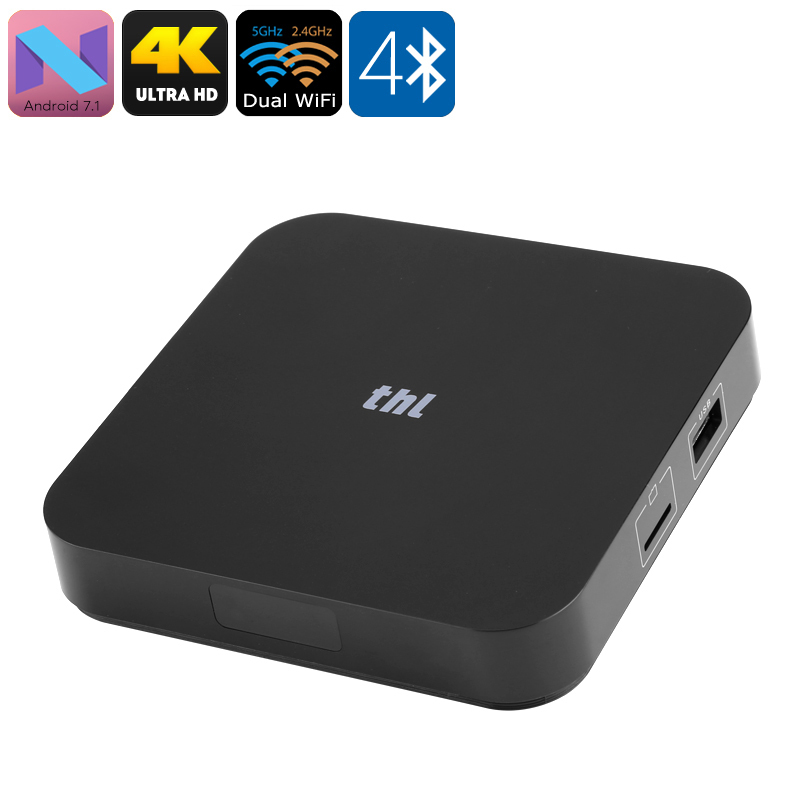 Successfully Added THL BOX 1 Pro Android TV Box - Amlogic S905X CPU, Mali 450MP GPU, 2.4+5GHz Wi-Fi, 2GB RAM, 16GB Memory, Airplay, Miracast, DLNA to your Shopping Cart. The Pro version of the THL Box 1 comes with a boosted 2GB of RAM and 16GB of onboard memory. With the Amlogic S905x CPU and Mali 450MP GPU at your beck and call you'll enjoy picture-perfect games and movies in resolutions up to and including 4K. With dual-band 2.4G and 5GHz Wi-fi, you'll enjoy fast wireless connectivity so you can stream movies and play online from any room in the home. DLAN, Micracast, and Airplay make it easy to share content from you phone by sharing the screen of your portable devices with this TV box. Now you can share photos and video from your phone effortlessly. When it comes to entertainment options the Android 7.1 operating system has countless of options available from the Google Play store. With 16GB of storage, a micro SD card slot as well as USB drives you'll have loads of room to stock up on movies and games. The THL Box 1 Pro TV Box product comes with 12 months warranty, brought to you by the leader in electronic devices as well as wholesale Android TV Boxes..